Hey everyone, I’m Eric Hoffman and I’m a Junior Marketing Pre-Dental major. I’m sure many of you get tired of the same food options on campus, especially during the weekends. No fear though, there are several off-campus eateries that can hit the spot without burning a hole in your pocket. Although I’m no food connoisseur, I’ve acquired quite the list of food joints both with and without a drive thru. The first spot worth checking out is the taco truck located in the No Frills parking lot (off Saddle Creek). 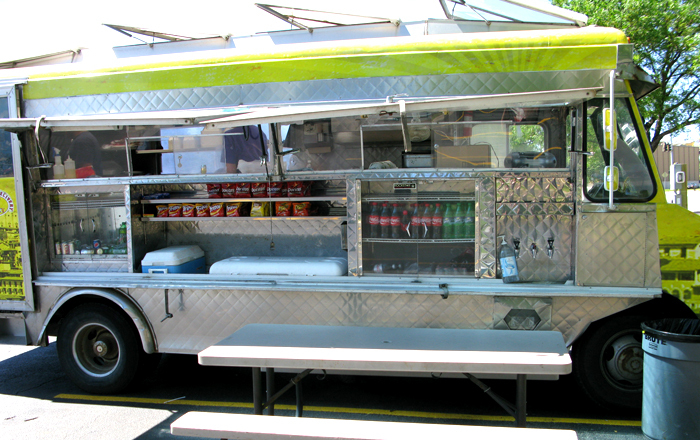 This (we’ll call it an RV) serves up quesadillas, burritos, and tacos at all hours of the night. It’s perfect if you have a late night craving but don’t want to spend a fortune. The next place you should check out is Sam and Louie’s right next to McDonald’s on Cuming Street. They serve up great New York style pizza and run specials throughout the week including a happy hour on Thursdays. 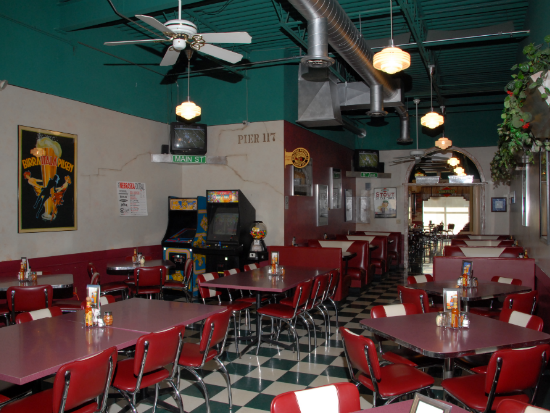 It’s also great if you want to have a group function since they have plenty of seating and will cater to parties. The last place you should go to is China Taste. It’s conveniently located right next to Sam and Louie’s and they even do take out. They also serve up an awesome all you can eat buffet during lunch hours that will fill you up and leave you wanting to come back for more. Hope you get the chance to check out these places and sample some of their great cuisines!